Happy Mother’s Day to all the beautiful women in the world, specifically to the ladies that have invested in my life since the day I came out of my mom’s womb. Sorry I can’t name everyone because I’m a Samoan, which means I’m blessed with a huge family. I have been blessed by God to have Proverbs 31 women in my family and close circle. As I reflected on Mother’s Day and how grateful I am for all the wonderful women in my life, I thought of the sermon preached in church this morning. “How do you measure a life?” is the question that was asked. The title of the sermon was a quote “The measure of a life is not in its duration, but in its donation.” by Corrie Ten Boom. The donation these ladies have made into my life have been tremendous and I thank the Lord for His never failing love that is constantly shown through these women especially my grandmas and my mom. These are my testimonies of these ladies and the investments they have donated to my life. Grandma Vai, Grandma Eseta, Grandma Lafo & Grandma Fou – my Aua grandmas who have loved, nurtured and spoiled me since I was a day old. My parents could tell so many stories of my infant & toddler years and how they “fa’apele” me to the point I couldn’t go to sleep until we go to Aua to see my grandmas. Although one is my biological grandma, they have all taken care of me as if I was their own. In my life, they have invested love, peace, strong relationships with my brothers, a love for my church and a love and reverence for God and His will for me. All my Aunties – From my Sword side to my Fale/Ponausuia side to my “aunties” from Cornerstone AOG, these lovely ladies have all played a part in giving me love and affection. They all make me feel beautiful and never cease to tell me straight when I’m doing wrong especially when I’m getting fat. They have invested confidence, affection and a love for all things beautiful in my life. My Cousins, Sister in laws & My Bestest – The beautiful ladies who made me “Aunty Lisi” are definitely in need of mention. They are the reasons I have so many beautiful nieces and handsome nephews and no need for my own kids. They have invested joy and fun into my life. Spiritual Mom – The one woman (besides my mom) who isn’t afraid to fuki my hair & tell me straight when it comes to my spiritual walk with God. Aunty Hope is definitely a one of a kind woman who constantly checks up on me to make sure I’m walking strong. She has invested in my love for God, spirit and creativity. 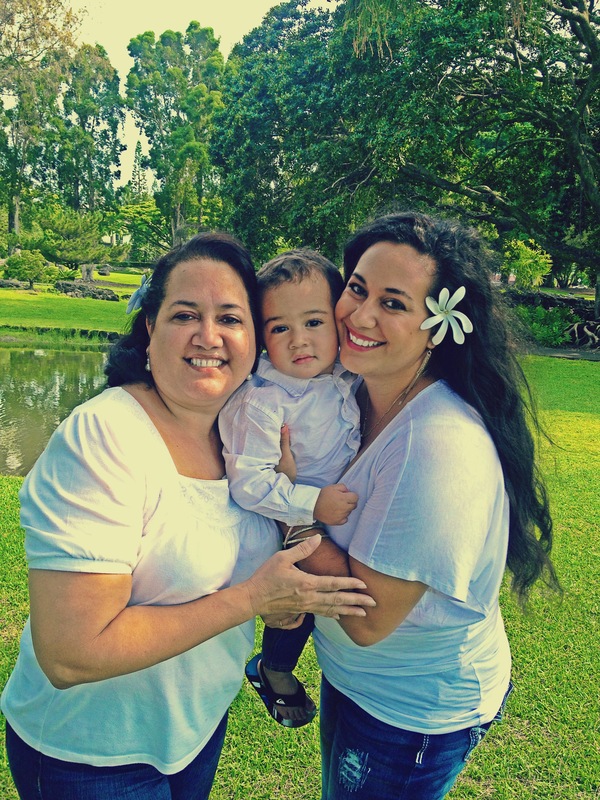 Last but not least, My Mom – Lori Fale. She is the reason I chose to move back home and I have not regretted it. Just being me and my mom at home has been a challenge and a definite growing process. I miss my brothers, but I have seen my love and relationship with my mom grow. She is the strongest woman I know. I have seen her at her worst and at her best. Through it all, she remains steadfast in her faith in God. The Lord has definitely blessed her with grace, strength, dignity and many of what Proverbs 31 entails. She raised my handsome brothers Gary, Curtis & Emmanuel to be wonderful husbands/boyfriends to their wives/girlfriends, which I absolutely love to brag about and gives me a picture of what my future husband better be like (L0L). She taught me so much about loving God and building a strong relationship with Him. She has a BIG heart for ministry and continues to pursue God’s calling on her life with the radio ministry He entrusted to my family. She has invested in my love for God & His ministry and my relationship with God. She invested into my life strength, faith, love, patience, honor, fear of the Lord and strong Godly values. So Happy Mother’s Day to all the heroes out there we call “Mom”.